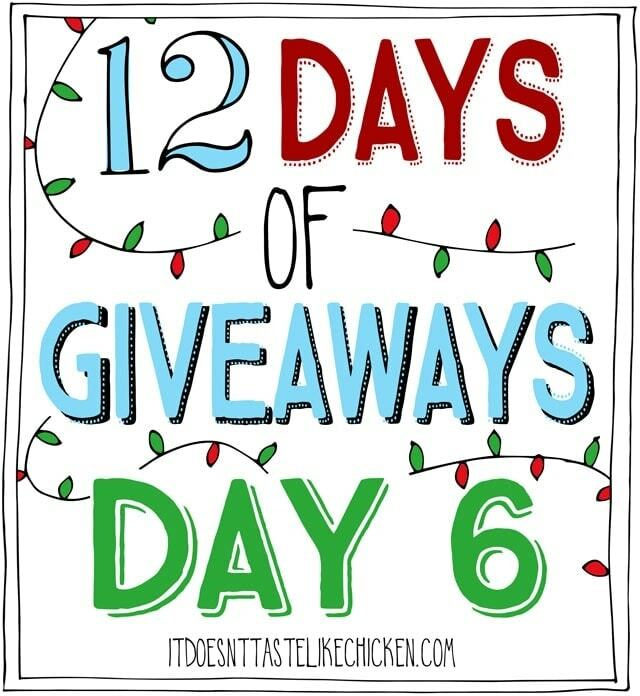 On the 6th day of giveaway my true love (Sam) gave to me, a Field Roast cookbook!!!!!! You might be familiar with the brand Field Roast for their vegan artisan grain meat. I’m talking Smoked Apple Sage Sausages, Hand-Formed Field Burgers, Smokey Foragers Roast, Mexican Chipotle Sausages and so much more. I’m not someone who buys vegan meat alternatives often, but when I do, it’s usually Field Roast. Their flavours and textures are top notch. 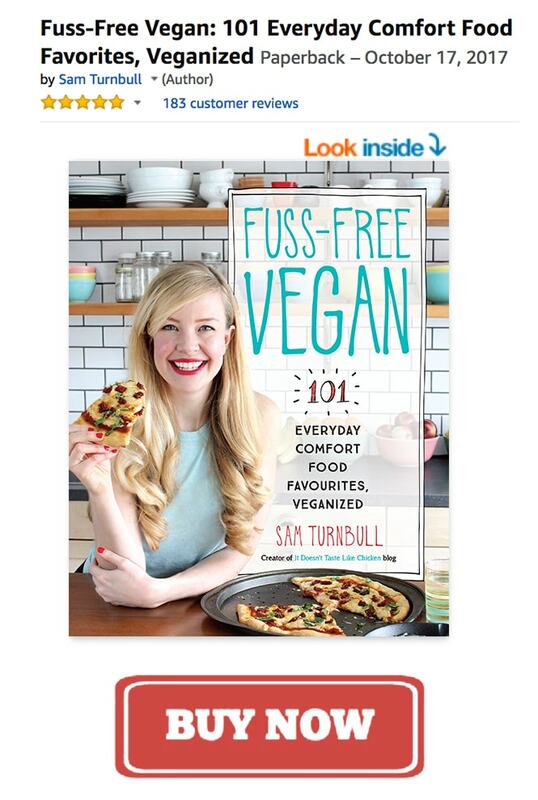 So when I saw they released a cookbook, I was of course very excited. These recipes are not fuss-free, but they are very, very cool. 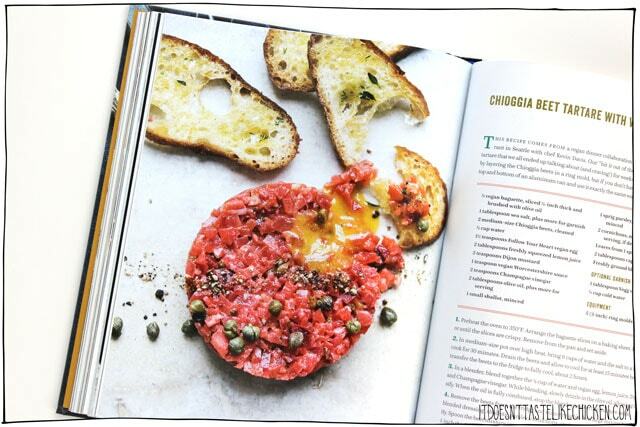 So if you are looking to do some experimenting in the kitchen you might love this book. I think the first recipes I will test out will be Harvest Holiday Roast, Fennel and Garlic Sausage, Bistro Burger, Chioggia Beet Tartare with Vegan Egg Yolk (as seen below). 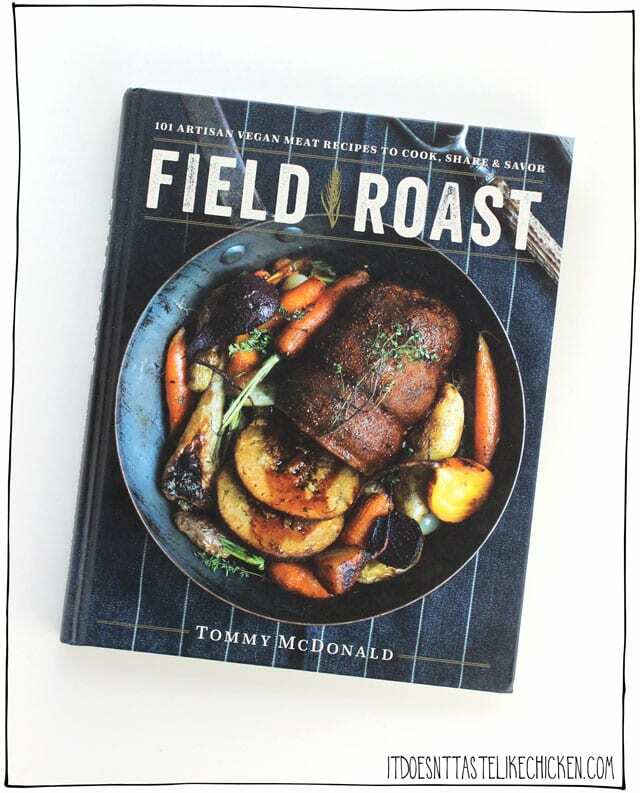 2 lucky winners will receive a copy of Field Roast cookbook. Previous Post: « Vegan Cuts Snack or Beauty Box Giveaway!